Everybody aspires to a have healthy, glowing skin. Some people naturally have more radiant skin than others, but even if you’re not as genetically blessed, you can still achieve those results easily. All you need is a simple body scrub – and you’re in luck today, because this post is all about them. A body scrub is an exfoliating cosmetic preparation applied to the body to cleanse your skin. It is an essential skin-care product that helps remove all the flakiness and dead cells from your skin and give your body a renewed glow. 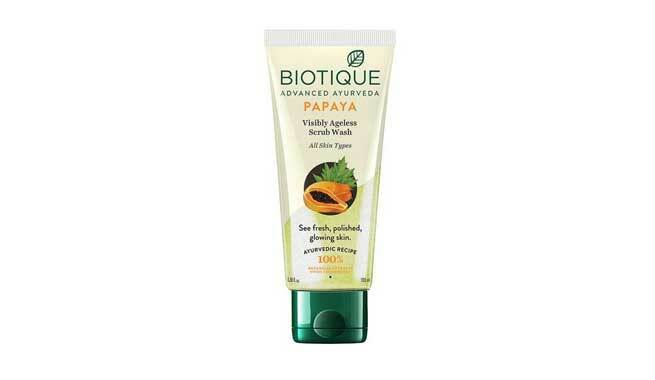 Use it once a week during your bath and pamper your skin with its rich moisturizing and exfoliating effects. Regular use will remove flaky skin, dryness, and dullness. It also helps fight against cellulite. Read Also – Are Scrubs harmful for your skin? Many of us buy face scrubs and religiously scrub our faces to keep them glowing. But we forget to do the same for our body. 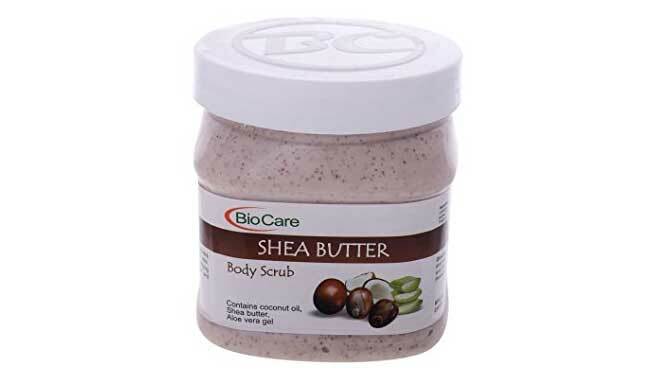 If you want smooth and glowing skin all around, then you must include a body scrub in your skincare regimen. To help you get started, here is our guide to the best body scrubs in India. Fabindia is India’s largest private platform for products made from traditional techniques, skills, and hand-based processes. The Fabindia Rose and Geranium Scrub is an exfoliating scrub made from soothing rose petals soaked in geranium oil. The rose petals have a cooling effect on the skin and the geranium oil detoxifies the skin to leave it feeling soft and supple. Aaranyaa is known for their expertly designed products that contain nourishing, natural ingredients. The Aaranya Detanning Scrub has natural extracts like walnut bark, neem, tulsi, almond oil, and licorice. The scrub helps in reducing marks and blemishes to make your skin smooth and clear. Regular use also helps in removing tanning of the skin. BioCare is a skincare brand that offers a variety of products made from all-natural ingredients to give you rejuvenated and healthier looking skin. 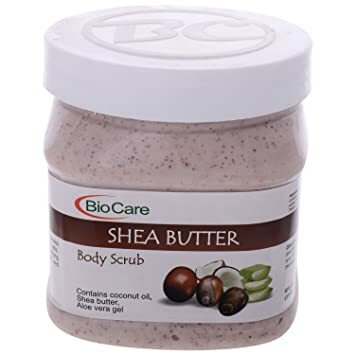 Their Shea Butter Body Scrub is enriched with various ingredients that cleanse, hydrate, and nourish your skin to leave it smooth and radiant. Another product by BioCare, this Coffee Gel Scrub contains coffee grounds, which is very effective at fighting against cellulite. Regular use also removes blemishes and dullness from your skin. 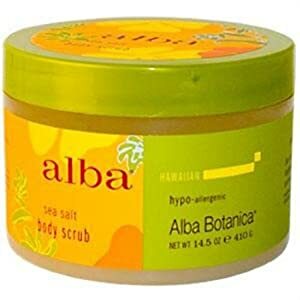 The Alba Botanica Sea Salt Scrub contains essential and tropical nut oils that gently exfoliate, invigorate, and moisturize the skin. It is infused with sea salt granules that remove the accumulated dead cells to reveal the fresher and brighter skin lying underneath. 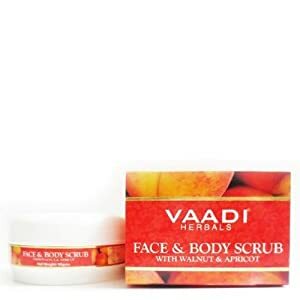 The Walnut and Apricot Face and Body Scrub from Vaadi Herbals contains aloe vera, which moisturizes and nourishes the skin. It also contains vitamin E, which fights against aging, and walnut and apricot granules, which help slough off dead skin cells and improve complexion. Shahnaz Husain is an organic skin care brand that uses Ayurvedic recipes in their beauty products. Their Walnut Face and Body Scrub is a natural scrub containing walnut particles, which help remove dead epithelial cells to make your skin cleaner and brighter. Biotique is a cosmetic brand that uses time-tested Ayurvedic therapies blended with contemporary science to produce highly effective beauty products. 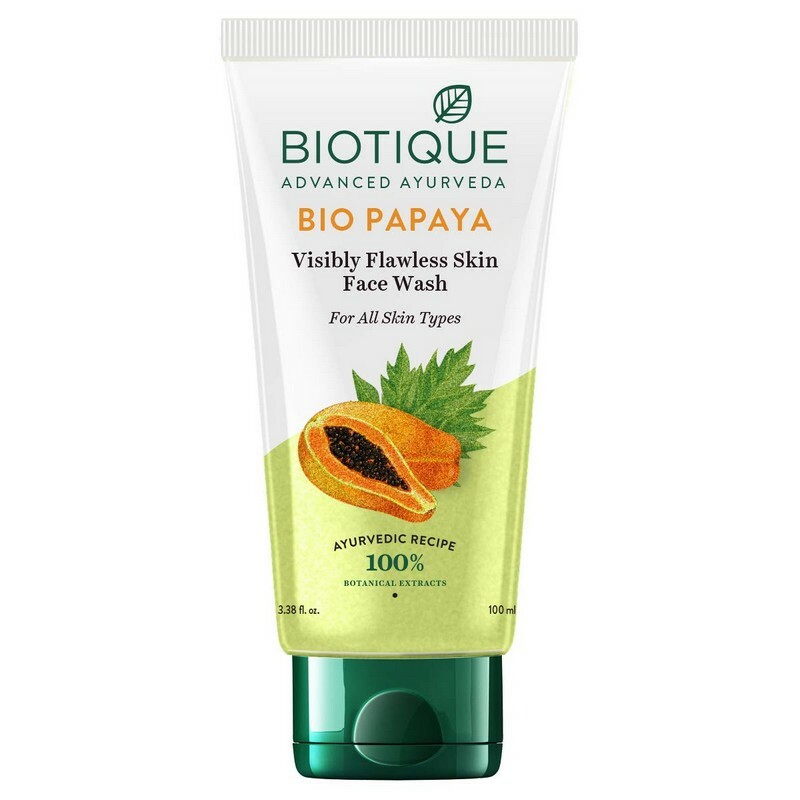 Their Bio Papaya Visible Ageless Scrub Wash contains papaya, which dissolves dead skin cells, unclogs pores, and clears the way for newer, younger-looking skin to surface. 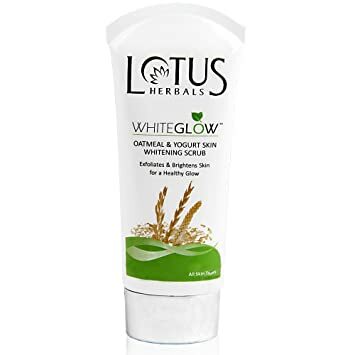 Lotus Herbals is India’s leading natural skincare and cosmetics company, known for their wide range of Ayurvedic and herbal products. 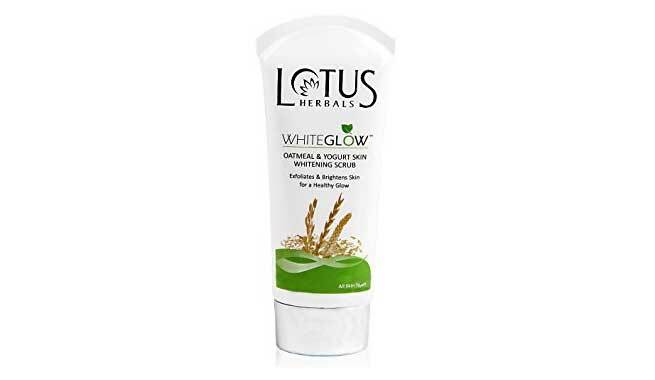 Their Whiteglow Oatmeal & Yogurt Skin Whitening Scrub gently exfoliates the skin and removes dirt, impurities, whiteheads, and blackheads to leave your skin bright, smooth, silky, and with a healthy glow. Oatmeal gently exfoliates your skin and restores the natural balance of your skin’s moisture, while yogurt moisturizes and lightens your skin to reduce imperfections. 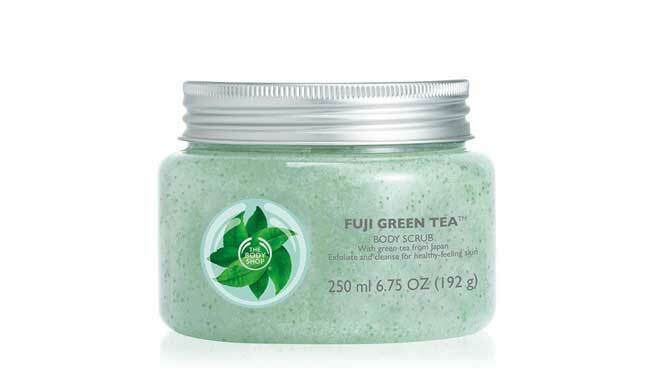 The Body Shop Fuji Green Tea Body Scrub is a creamy body scrub with a light fragrance. The scrub promotes micro-circulation and makes your skin soft, smooth, and bright. So, do try one of the body scrubs above and enjoy fresh, healthy, younger-looking skin!